From east coast to west coast America's shorelines provide some of my favorite places to shoot. Rather crashing waves or calm seas, rugged cliffs or smooth sands, colorful sunsets or stormy skies the coast is almost always photogenic. To order prints simply select your desired size, enter the IMG#, and complete your transaction through Paypal. 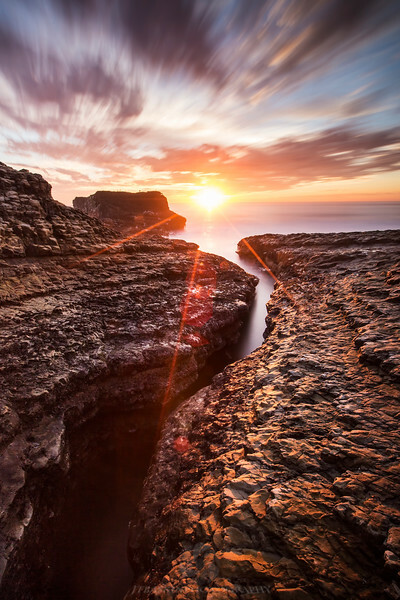 This remote beach and area around Santa Cruz have quickly become a favorite for local photographers. This spot know as The Davenport Crack can turn very treacherous when tides are high.